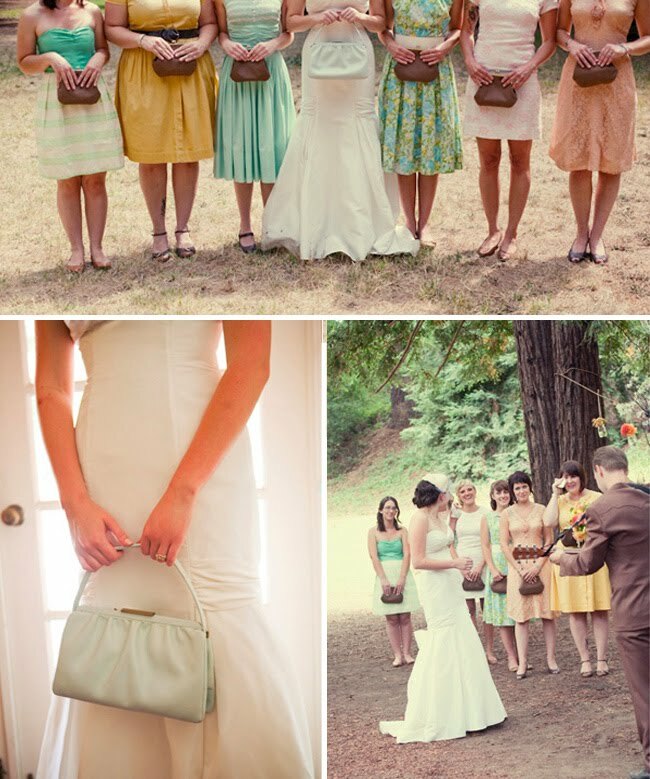 What are Your Bridesmaids Carrying? I’ve been loving how brides are getting so creative with what their bridesmaids carry down the aisle. Who says they have to carry a bouquet! Why not pretty parasols? top photo by Necessary Photography, bottom by Oh, Darling! Or maybe some fun hearts? Or keeping with a vintage theme, cute clutches! The possibilities are endless! 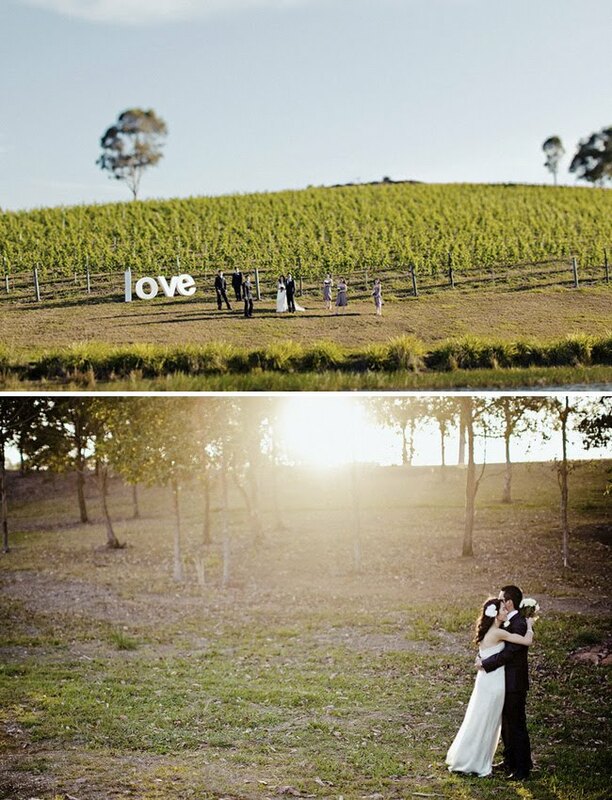 Be creative with your theme or location. I could see carrying tea light candles in small vases for an indoor winter wedding or pinwheels for a outdoor spring wedding. 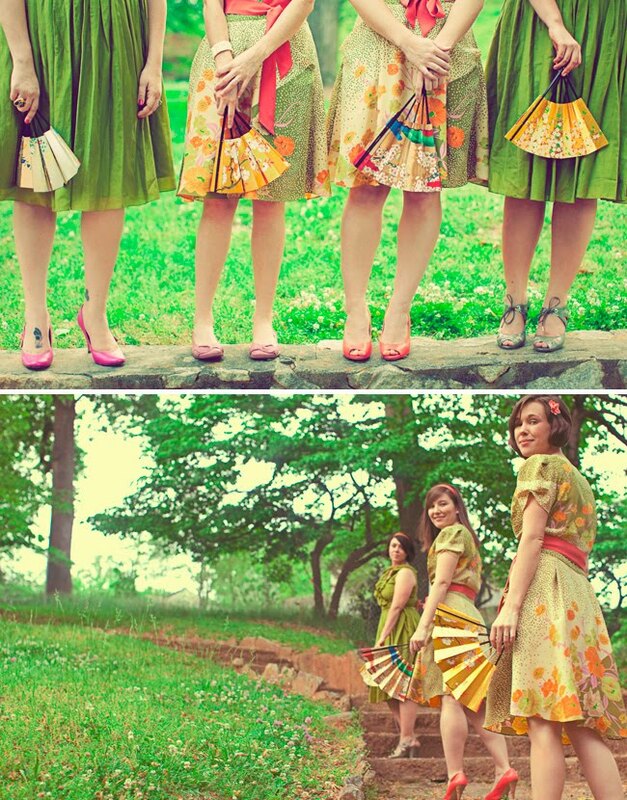 Are any of you planning on having your bridesmaids carry something non traditional? great ideas, great images. love the hearts and the clutches. Yup! I'm doing green cluthes for my bridesmaids, green lollipop bouquet for the flower girl, and flower bouquet for myself. My bridesmaids are carrying clutches with their bouquets inside! Love the parasols, and the fans are just COOL. Nice one. Love the concept. I have always thought it might be cute for the bridesmaids to carry boutonnieres down the aisle and pin them on the groomsmen one by one! I like vintage feather fans, too. Flowers are so expensive and last but a day. Candle lanterns would be neat as well. They could be placed around the area where the bride and groom will stand. My girls are actually carrying lanterns for our winter wedding. I found a small wrought-iron style at Z Gallerie that I loved and the best part was they were only $10 each! We'll line them on the mantle at the reception so we get double the impact! I actually bought parasols for my girls as part of their gifts…to use in our photos. 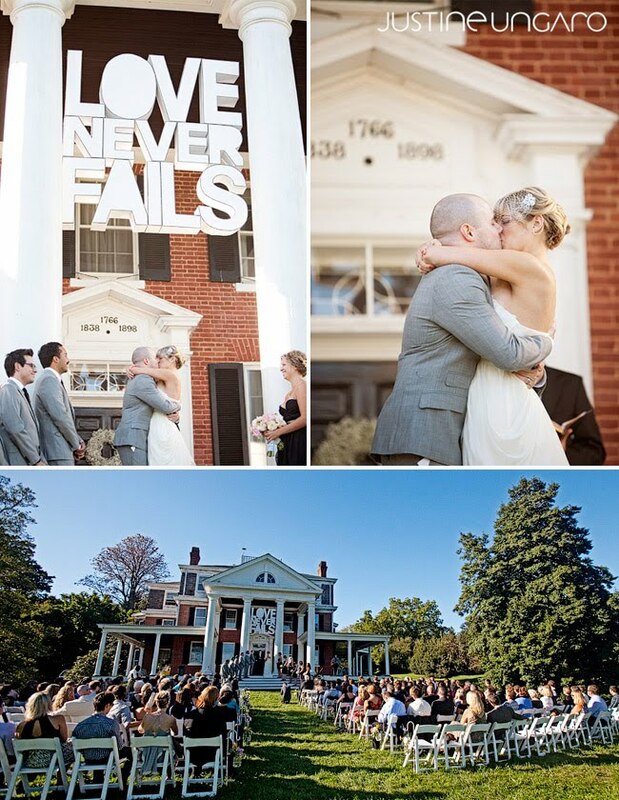 I never thought to have them carry them down the aisle…what a great idea! I'm having a winter wedding so my bridesmaids will be carrying white faux fur muffs instead of flowers. I blog about this all the time because I am having my girls carry clutches. I just LOVE the idea of them carrying something different! What great ideas. Proves you really don't have to just follow tradition. Those clutches are perfect. no bouquets for my bridesmaids. hopefully i'll be lucky enough to have photos of what they're walking down the aisle to on this blog. I also saw pictures where bridesmaids carried balloons and another where they carried tea light candles in a neat long stemmed vase. The idea to not use flowers is so unique and really could save some money! Nice to see your blog. Its really very nice. I like it very much. I also visited one gifting site. It has unique gifts for all occasions. WOW! I really love these ideas! I am having a "Fall In Love" wedding we were thinking maybe a pine cone bouquets or maybe a tea light since it will be freezing out. Our wedding is going to be on a lake. I love this post!! ahh, one of my fave posts of the day during my daily blog reading! i love the idea of a tea light candle in some sort of vase, and the clutches are awesome, and re-usable! i also love the parasols b/c of the awesome pictures you could take with them! i was boring and non-creative and my girls carried white calla lilies to offset their red dresses and i the opposite (red flowers/white dress), but now i wish i had had them carry something in the corresponding color (that was turquoise) like a clutch, or a turquoise vase with the tealight – genius ideas! other neat ideas, depending on the location/type of wedding, would be to carry up books about love, framed pictures attached to a colored ribbon they could carry, sooo many creative possibilities! i want to do my wedding again!!! any idea where the girls carrying the fans got those DRESSES!?! i really love those. what a fantastic post! these are lovely ideas and so are some of the readers' comments. love the lantern one especially! the hearts are just too cute, too. love the colors. 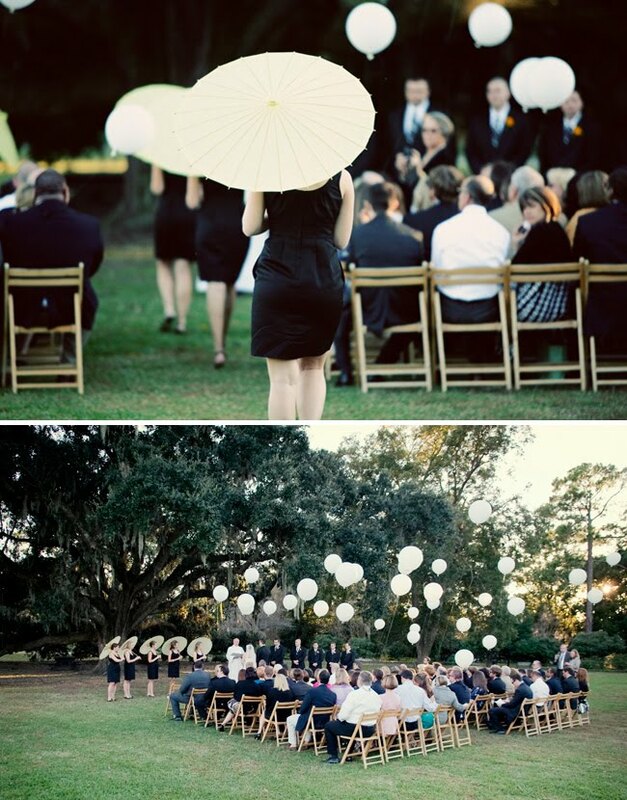 These ideas are adorable, my favorite is the white parasol on black dresses…so striking, and fun, too! The idea of white parasol on black dresses awesome, our jewellery store india provide the best suit jewellery on these dress. the clutches and the wedding gown is awesome looking. Beautiful photographs and lovely women’s and I just love the Idea’s you shared. Lovely pics.. Dressing style of bridesmaid is nice. I most like pic in which all girls stand to hold clutches. 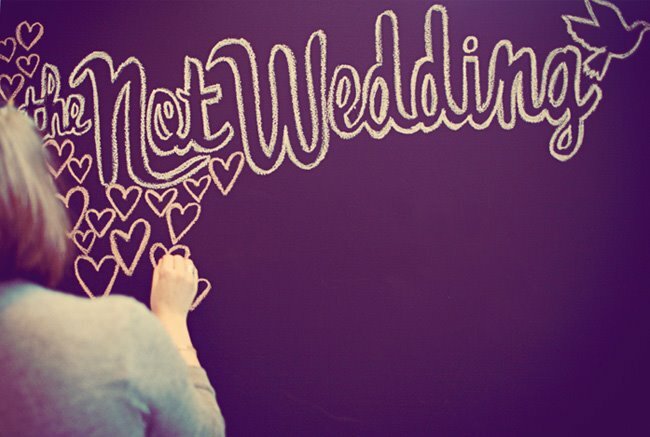 Bridemaids play very important role at weddings.. They should choose their outfits very carefully. 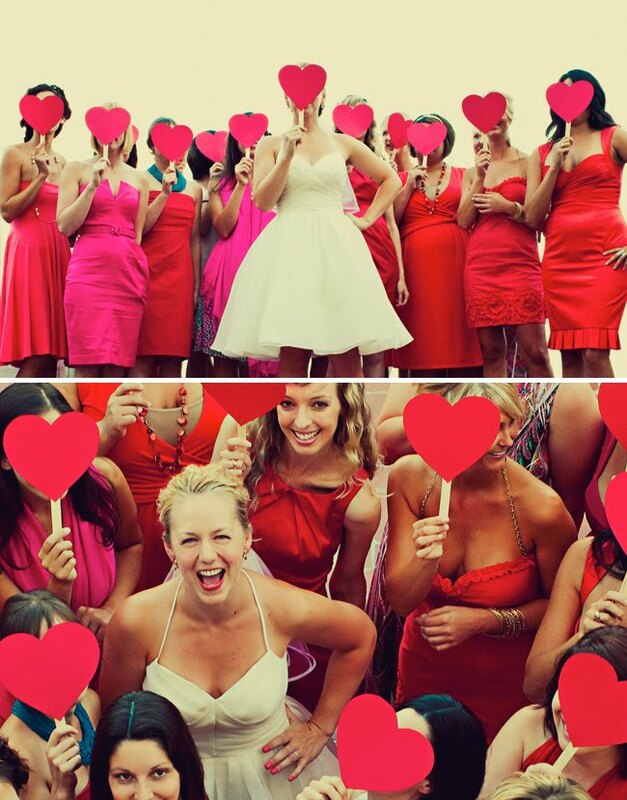 I would definitely try out the fun hearts one at my wedding.. I really loved their style, and amazing photography. All bridesmaid pics are fantastic and have wonderful dressing sense of all . 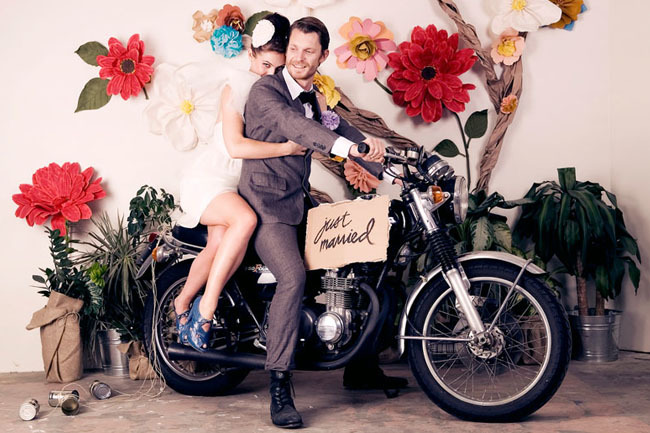 I would like to have such a photos when I became bride. All pics are amazing. I love bridesmaid dresses. Thanks for sharing.